The Queen of Monsters is ready for battle in 2016... are you? 2016 is starting off with a bang.. and blasts… and an attack on Northpointe by the Queen of Monsters’ new Captain, Goregrim! The forces of Good, Evil, and Chaos will need to come together, or Northpointe WILL fall! Starting Wednesday, December 30th - log into AQWorlds and /join newyearwar to begin the Defense of Northpointe! Quest to unlock different versions of Memet's Fènnù de Hóuzi gear depending on your alignment. You'll also be able to re-play through all our previous New Year's events! Check out the New Year's events guide on the Lorepedia! 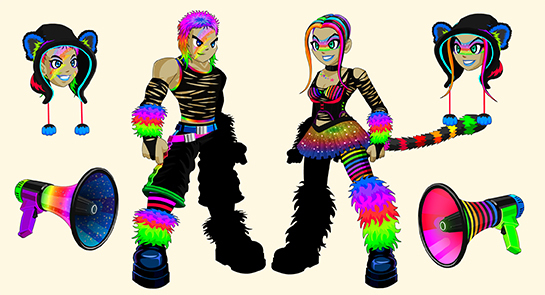 And don't miss the New Year's 2016 Rares shop from Tana! You'll be able to find that in your Game Menu starting Wednesday night.